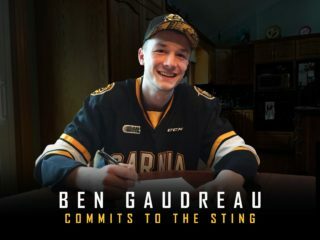 The Sarnia Sting have embarked on their 25th season of OHL hockey and the quarter-century salute has seen big success thus far. Off to their second 3-0 start in the past 10 years, the Sting have taken wins over divisional opponents in Saginaw, Flint and Sault Ste. Marie, doing so behind the leadership of newly minted captain Ryan McGregor, Calgary Flames prospect Adam Ruzicka, fifth-year veteran Anthony Salinitri and sophomore standout Jamieson Rees. The club ushered in its 25th season in style, bringing back graduates in the club’s first ever draft pick Jeff Brown, rugged winger Mike Hanson, goaltender and current radio voice Patrick DesRochers as well as 1995 OHL scoring champion Aaron Brand before Friday’s home opener. Despite the graduation of OHL Player of the Year Jordan Kyrou, standout defenceman Cam Dineen, long-time goaltender Justin Fazio and dynamic centreman Drake Rymsha among others, Sting head coach Derian Hatcher has maintained a competitive standard for his club in 2018-19. Whether they’re rebuilding or not, the Sting are one of two undefeated teams remaining in the OHL, and that has to count for something. 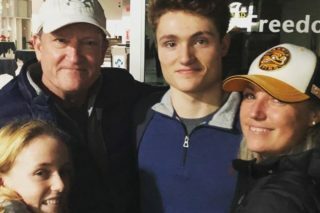 Having produced such stars as Steven Stamkos, Alex Galchenyuk, Nail Yakupov and the aforementioned Kyrou, the Sting look to continue developing NHL talent and making memories in their 25th season.